I woke up with a bold idea—I needed to take a sabbatical to Africa. It didn’t feel like a decision to make, but one that had been made. I researched, planned and proposed it to my boss. He said yes. 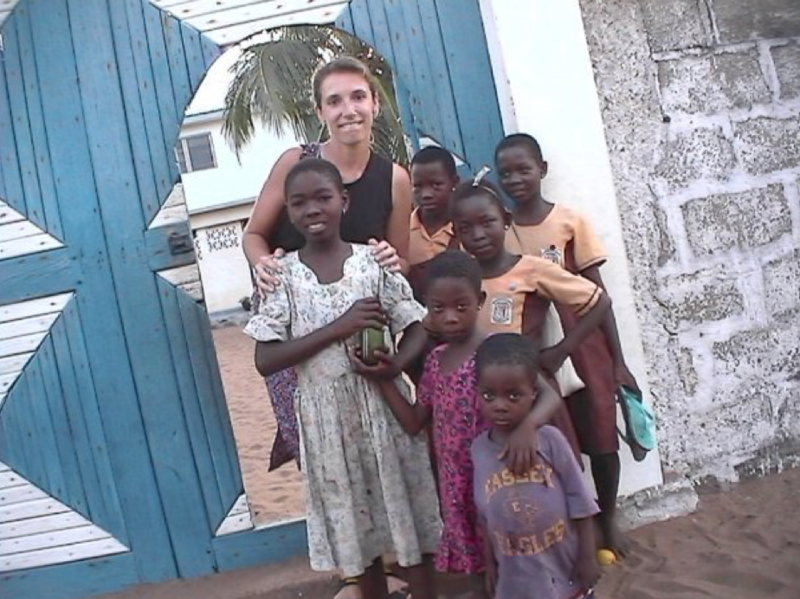 In November 2002, I flew to Ghana to start a 7-week, 5-country African adventure. That trip blended my favorite things—business and cultural immersion, learning from local people, active adventure, and culinary exploration. It combined solo travel, group experiences, and meet-ups with friends. Did I plan the sabbatical this way because it’s how I travel? Or do I travel this way today because of this sabbatical? I’m not sure. But I know this. Global experiences change my perspective. This trip challenged and humbled me. Every day came with experiences that made me think differently. It ultimately impacted my life path, seeding my passions for investing in emerging economies and promoting girls’ education and leadership. My life evolved through travel. Summiting Mount Kilimanjaro increased my confidence for high-altitude trekking. Immersion trips with non-profits led me to better understand education. I’ve joined investors on company due diligence trips–eating cat food at a pet supply company in Japan and touring a meat processing facility in Ethiopia. I travel alone and with my husband. When I sketch out a trip, friends will say “Sounds awesome. Can I come?” I typically say yes. In 2017, I woke up with another bold idea—to lead Global Leadership Trips. As a small, curious minded group, we’d explore the economic, social and cultural trajectory of an emerging economy. We’d meet business leaders, entrepreneurs, artists, students and non-profits. We’d focus on the present and future; unique culinary experiences would weave in culture and history. My ultimate goal? Connecting people and ideas through a life-changing experience which pushes us to maximize our lifetime impact. In 2018, I hosted my inaugural trip. Eleven of us spent six days in Dar Es Salaam and Zanzibar, Tanzania. We were men and women, ages mid-20s to early-70s. Hearing about Uber Tanzania‘s launch challenged our assumptions. Meeting with USAID Tanzania reminded us that each of us represents our country’s brand. A day at a rural primary school with Room to Read had us howling in joy. We hiked a Zanzibar spice farm in pouring rain and rode bikes back to bustling Stone Town. At each day’s end, we shared reflections over dinner. At the end of trip, I witnessed people previously strangers voluntarily making post-trip commitments. I had secretly packed my 2002 Africa travel journal. As I witnessed others’ reactions, I wanted to revisit my own, to see how I initially wrote about memories I’ve described hundreds of times. I read a passage where I asked my Ghanian host what he thought about people from the U.S.
“You ask so many questions,” he said. Curiosity. It’s what makes a traveler a traveler. It’s what pushes us to think differently.